In the restaurant industry, your menu and your service are central motivations which attract consumers to your establishments and brand. 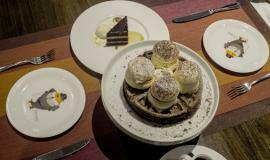 Attracting consumers requires a strong reputation, an enticing menu and a good level of service. The pace of change within the restaurant industry is rapid and it can be challenging to meet the ever-evolving expectations of your consumers. Kabaq augmented reality food has developed a revolutionary tool which allows you to radically change the way you present your menu and engage with your consumers. The technology used by KabaQ allows you to visualize your menu in 3D through a process of digital rendering and photography. Using smart device technology, you can present your menu to your consumers in 3D, enabling them to make informed food choices and ensuring their expectations are met or even exceeded. 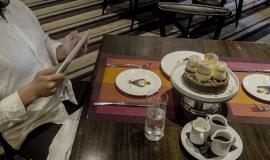 A key preoccupation for restauranteurs is meeting consumer expectation. Everyone is different and therefore people have a different vision of what the food choices on a written menu might look like. Many consumers will choose a restaurant based on online reviews or recommendations from friends or colleagues. Therefore ensuring a consistent level of customer service and quality is key. 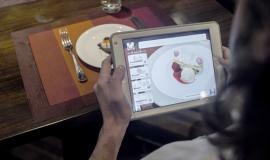 Kabaq augmented reality food brings your menu to life. The visual representation possible via Kabaq minimizes the risk of consumers choosing food which doesn’t match their expectations. It increases the ability of the consumer to make an informed choice and limits the possibility of confusion around portion sizes and ingredients. Improving your capacity to meet consumer expectations allows you to evolve your overall customer service approach. This means you can continually adapt and remain a leading player in your market. Introducing the technology is a straightforward process. The 3D aspect of the technology means quite simply that all three-dimensional objects can be visualized through KabaQ augmented reality food. This is achieved by taking photographs of your dishes, these photographs are taken at multiple angles to provide a view of the dishes from different perspectives. These photographs are then stitched together to create seamless 3D models. These models are added to the KabaQ augmented reality food app and your menu has entered the world of augmented reality! 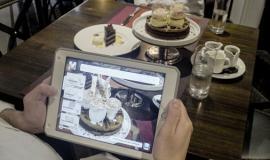 The 3D menu can exist within the restaurant as well as via the app which is accessible from anywhere. 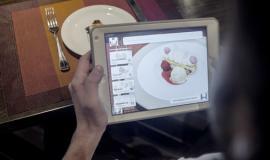 This means that if you have to go service, consumers can view the 3D menu remotely. 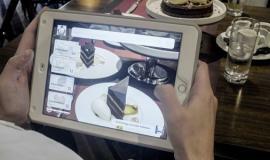 For consumers who intend to visit the restaurant, they can review the 3D menu in advance. KabaQ also enables consumers to build their own meals. Once your entire menu exists on Kabaq, a customer can select different aspects of the menu to build their perfect dish or meal. For example, a consumer could select the steak, then add a side of parmesan fries along with a green salad. Kabaq augmented reality food is a valuable asset to your business allowing you to extend your brand beyond your restaurant walls and static photos online. We support you on your KabaQ journey ensuring that your needs are met and that the technology works for you. By using KabaQ you become part of a unique movement which is revolutionizing consumer experience. By using Kabaq you gain an unprecedented understanding of your consumer needs and behavior. Kabaq collects data on the what your consumers are choosing from your menu and the analytics allow you to monitor the most popular menu choices and trends in food combinations. This can help your staff to make informed recommendations to consumers who are unsure about their choices. It also allows you to build your marketing approach and profile your consumers so that you can target your outreach and advertising. Your business and your menu is driving force behind your success. Kabaq can help you move your approach forward and expand your consumer base by enhancing the way you present your food to your target audience. We help you build strong foundations to ensure that you can adapt to the way technology is changing the way people want to engage with restaurants now and in the future. For more information about Kabaq, send us a message.